Set with an exquisitely faceted heart shaped diamond, the Kama design offers a perfect balance between shape and brilliance. 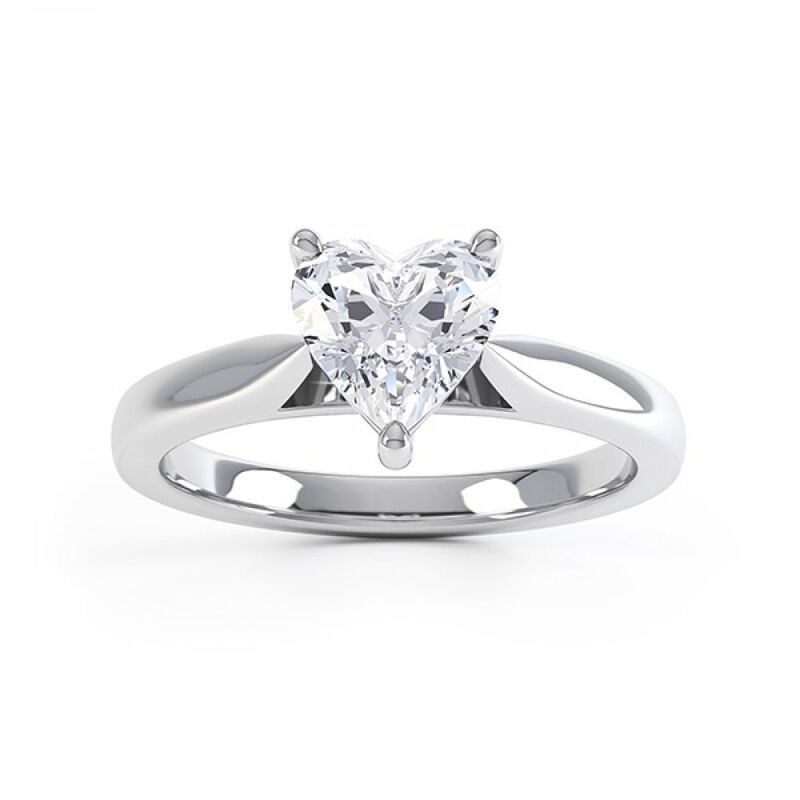 The heart shape remains most romantic of all the fancy diamond shapes, held within a three claw setting. We select the finest natural Heart shaped Brilliant cut Diamond to achieve the perfect Engagement Ring. Crafted over 3-4 weeks, your ring is created to order from your chosen materials. Choose your precious metal from 950 Platinum, 18ct White Gold, 18ct Yellow Gold, 18ct Rose Gold and Fairtrade Gold in 18ct White and Yellow options. This exceptional heart shaped solitaire ring design features a Wedding Ring friendly setting to allow a straight band to sit perfectly alongside. 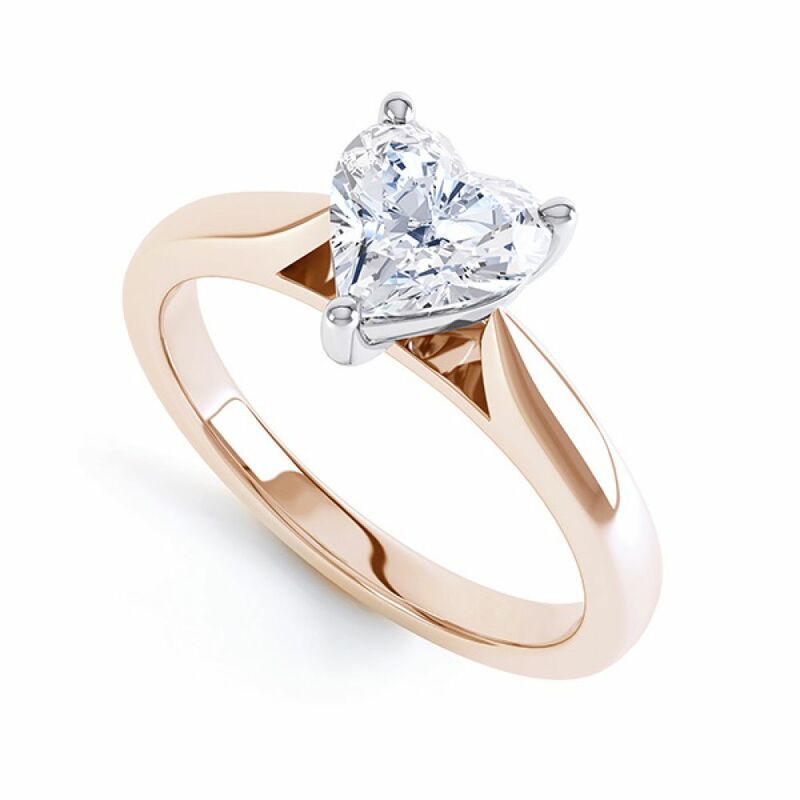 For maximum impact select from many of our larger Diamond sizes, available up to 1.25 carats in size. 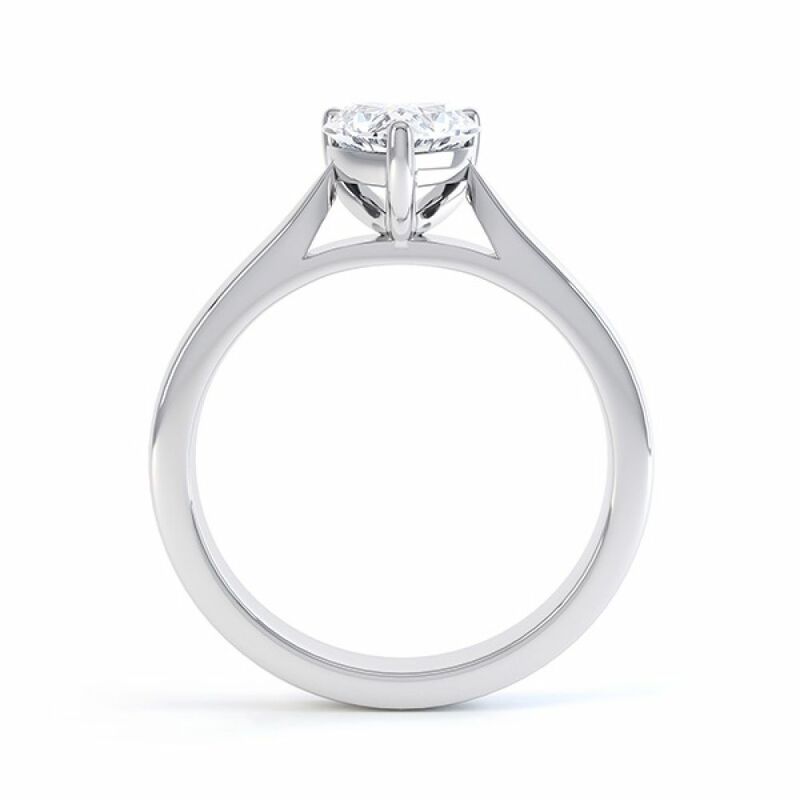 This simple design reveals open shoulders that narrow towards the setting. Three simple round claws secure the Diamond revealing the beauty of the heart shaped brilliant cut—allow light to penetrate the stone, revealing the true beauty of the Diamond. 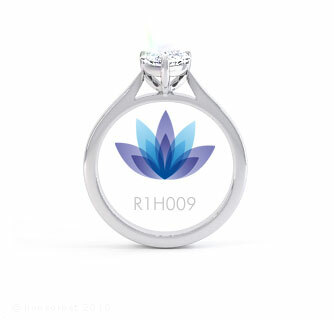 All Engagement Rings arrive exceptionally packaged and presented in a wood ring box with additional pocket box, ideal for the surprise proposal. Worldwide delivery is available on this item to many countries including UK, Ireland, Europe, USA, Canada and Australia. Lovely product, great customer service, fast and secure delivery. What more do you need.